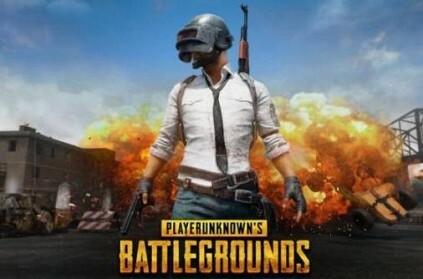 In a bizarre incident in Jammu and Kashmir, a fitness trainer had to be admitted to the hospital after losing his mental health due to obsessed hours playing PlayerUnknown’s Battleground (PUBG). The fitness trainer reportedly started indulging in self-harm and had to be admitted to the hospital. Reportedly, this is the sixth such case in Jammu. The victim got obsessed with the game in just about ten days. While playing a round, he started hitting himself and was severely injured. A doctor treating him reportedly said, “The patient is unstable at the moment and has partially lost his mental balance.” Even though the man was recognising people, he was not conscious and still under the influence of PUBG. "பாகிஸ்தானும் வேண்டாம்...இந்தியாவும் வேண்டாம்"...பரபரப்பை கிளப்பி இருக்கும் பிரபல கிரிக்கெட் வீரர்! Shocking Video: பாகிஸ்தான் எல்லைக்குள் புகுந்து 'அதிரடியாக குண்டுவீசி' தாக்குதல் நடத்திய இந்திய ராணுவம்! 'நண்பன் மரணத்துக்கு பழிவாங்க'.. வெளிநாட்டு வேலையை உதறி இந்தியா திரும்பிய நண்பர்கள்! எல்லை தாண்டி வந்த 'பாகிஸ்தான்' சிறுவனுக்கு... 'இந்திய ராணுவம்' என்ன கொடுத்தது தெரியுமா? காஷ்மீர் சிறுமி வழக்கு: 'நீதியில் சிறுநேர்மை தவறினாலும்'.. உச்சநீதிமன்றம் எச்சரிக்கை! "இந்தியா மற்றும் பாகிஸ்தான் இளைஞர்கள் கைக்கோர்த்து நிற்க வேண்டும்" - பிரபல கிரிக்கெட் வீரர்! This page contains news relating to various facts and events. The views are generally about current affiars and general topics in diversified areas such as political, international, national, and regional issues, sports, health, travel, lifestyle, technology and business. People having similar interets on the above topics will find this page useful. Jammu - Fitness trainer loses mental balance after binging on PUBG | Technology News.